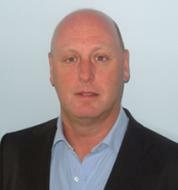 My name is William Phillips and I am the Principal Cognitive Behavioural Psychotherapist at Think CBT. My regular weekly clinics are held in London SE1 and Sevenoaks Kent TN13. I also provide online Cognitive Behavioural Therapy and clinical supervision using WebEx and SKYPE. I am a BABCP accredited Cognitive Behavioural Psychotherapist, advanced EMDR Practicioner and qualified Systemic Couples Therapist. I have undertaken advanced specialist training in a number of different CBT approaches including Acceptance and Commitment Therapy (ACT), Compassion Focused Therapy (CFT), Rational Emotive Behaviour Therapy (REBT), Couples Behaviour Therapy and Cognitive Behavioural Hypnotherapy. I also have advanced level training in Eye Movement Desensitisation and Reprocessing (EMDR), Mindfulness, Systemic Psychotherapy and Neuro Linguistic Programming (NLP). This means I can draw on a wide range of evidence based psychological techniques to meet the specific needs of my clients. Working within the NHS and private practice, I have gained extensive experience with a wide range of psychological, emotional and behavioural problems including Generalised Anxiety Disorder (GAD), Health Anxiety, Obsessive Compulsive Disorderr (OCD), Panic Disorder, Post Traumatic Stress Disorder (PTSD), Social Anxiety, Specific Phobias, self-esteem problems and different types of Depression. My approach to therapy is evidence based, which means that I draw on a wide range of established psychological techniques, where there is clear research and a strong body of supporting evidence. This basically means that I use tried and tested methods that have been proven to work. This is very important to me, as I am commited to helping my clients achieve their therapy goals as quickly and sustainably as possible. I encourage a collaborative, friendly and informal approach during therapy. I place significant emphasis on trust, confidentiality, humour and the quality of the working relationship. I have a strong belief in the value of personal change and a down to earth and practical style . In addition to my clinical commitments, I am an examinor for the post-graduate Cognitive Behavioural Therapy programme at Canterbury University, assessing academic material and observed practice for trainee Cognitive Behavioural Psychotherapists. I am also a BPS qualified clinical supervisor for CBT practicioners and I lead group supervision for the therapy team at Think CBT. Alongside my clinical responsibilities, I am a trained and qualified performance coach working with a wide range of professionals across a number of organizational settings and I am a Chartered Fellow of the CIPD. In addition to my role as Principal Psychotherapist at Think CBT, I provide intensive specialist and Eye Movement Desensitisation and Reprocessing (EMDR) from my private consultancy at www.sevenoakscbt.com. I am an Accredited member of the British Association of Behavioural and Cognitive Psychotherapy (BABCP). This means that I have achieved the gold standard in the practice of CBT. I work to the BABCP’s code of professional practice and ethical standards for clinical work and the CIPD codes of practice for all coaching activities.